Handmade Harris Tweed cap, available in other colors, but this purple was so cheerful! From AmiCharnel. Any excuse, right? Tank by boredwalk. This crazy intricate tie clip of a jazz band and swing dancers, also by byrska. This amazing set of 8 glasses from the 1950’s featuring dance images, carrier included, from Diagnosed Nostalgia. The ultimate table cloth, from Sarah Bradley Vintage. Incessant scanning of the Mod Cloth website can lead you to discover new brands that you instantly love – I fell in love with this sailboat dress, and a quick search took me to the Trollied Dolly website. The sailboat dress was there, along with an array of colorful vintage-inspired dresses and tops in clever prints – dragonflies, butterflies, seagulls, honeybees, strawberries – essentially adorable overload. I’m thinking yes – on top of the adorableness, these dresses are made of cotton – breatheable, danceable, washable cotton. Yes! Yes! Yes! I can thank milliner Joei Reed for directing me to this gem – Cabiria‘s tagline is “whimsical, sensual style in sizes 12-24,” but I think the word vintage should be thrown in there because so many of these designs take inspiration from 1940’s and 1950’s styles. *Note that there are additional fabrics/swatches available for each dress. I am still on a peplum kick and fell in love with this 1940’s Asian novelty print dress with a lovely peplum. The combination of the cheerful color, the shape, that amazing cutout at the neckline, and this whimsical Asian print featuring little boats makes this dress. The only drawback is that this dress is from a NYC seller, which means it has a NYC price tag. Still…pretty fabulous. Perhaps a tongue-in-cheek wardrobe selection for the upcoming Eastern Balboa Championships? This print is just adorable! Rayon print dresses for under $100 – need I say more? Check out the sale page for some great deals! 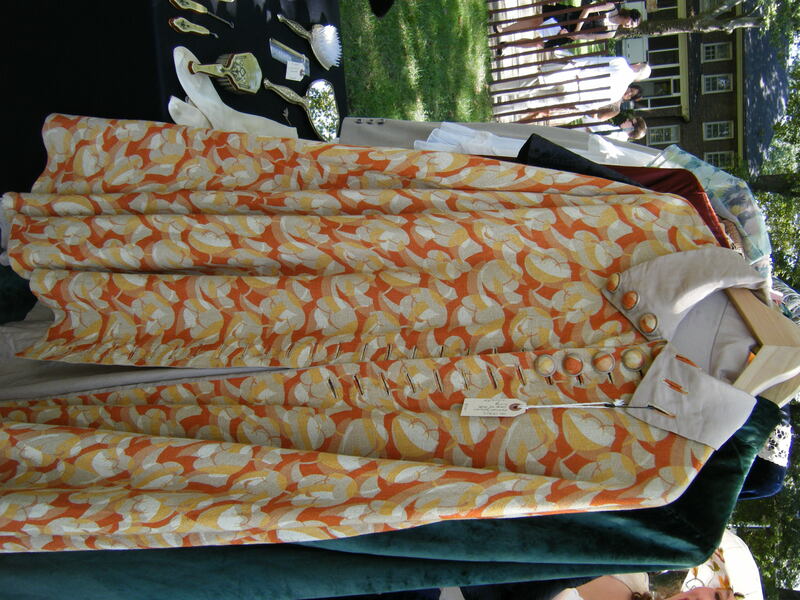 Cherry prints are very popular for reproductions and can be found in vintage clothing every so often, but are usually associated with decades other than the 1920’s. Aside from the adorable print, this dress has some nice details, like mesh insets in around the arm holes, long sleeves with gold trim at the cuffs, and an adorable gold and red scalloped trim around the bottom of the dress that runs up the back of the skirt. Just fantastic! Credit this dress to Emerald City Vintage, an eBay seller who consistently has the dress that catches my eye amongst the hundreds of eBay vintage dress offerings. 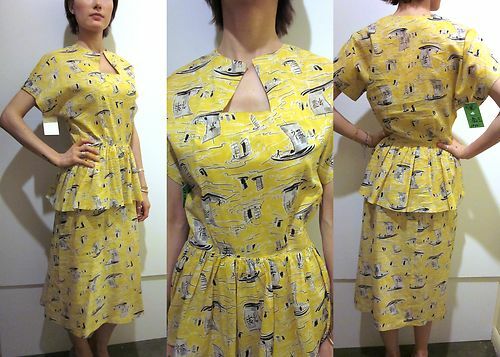 I was scanning through my eBay search emails today and came across a listing for this 1940’s rayon print dress that showed a detailed photograph of the fabric and a button, rather than a photograph of the entire dress. Some sellers choose to do this, but don’t always capture the detail in a way that is compelling, the way the a photograph of the entire dress would. This listing, however, caught my eye because of this fantastic punctuation-themed print and the butter-colored buttons with metallic trim. On closer inspection, there were even more details in the dress, like smocking at the shoulders and what looks like smocking on the bodice just above the skirt. This seller, mir.a, is smart because just looking at the dress by itself, at a distance, it appears nondescript on its own and somewhat shapeless without a model – but showing off the dress’s fantastic details is enough for me to give this dress a further look (to discover it’s not in my size). Laid flat, measurements are 38 waist, 43 bust, free hips. 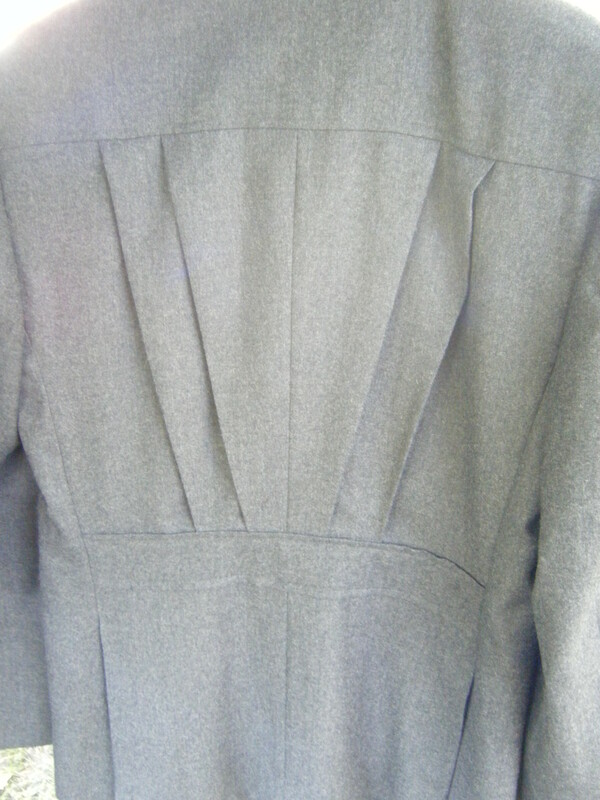 The smocking detail at the shoulder. The details become lost because the dress is a puddle on the ground - the smocking can't cinch a shoulder or waist without a shoulder or waist to wear it! 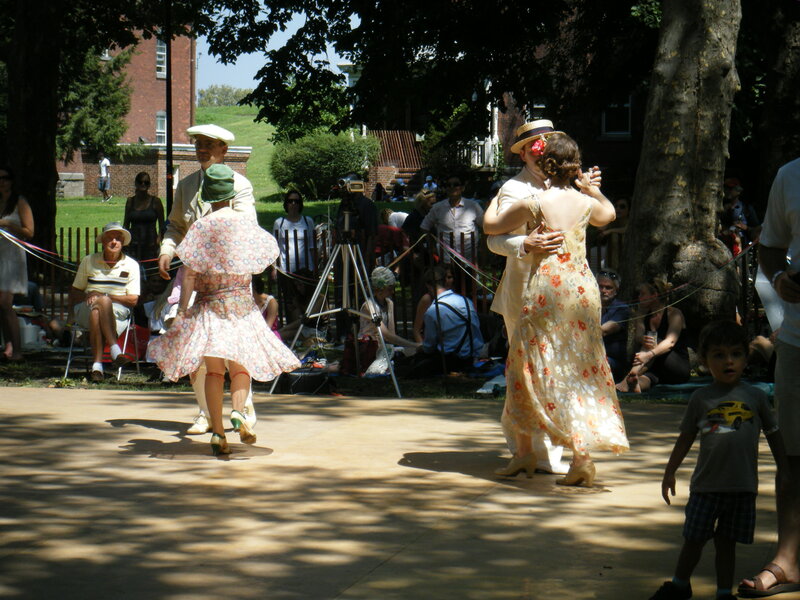 The Jazz Age Lawn Party never ceases to amaze me, with its charm, beauty, number of well-dressed people, and even its power over mother nature. 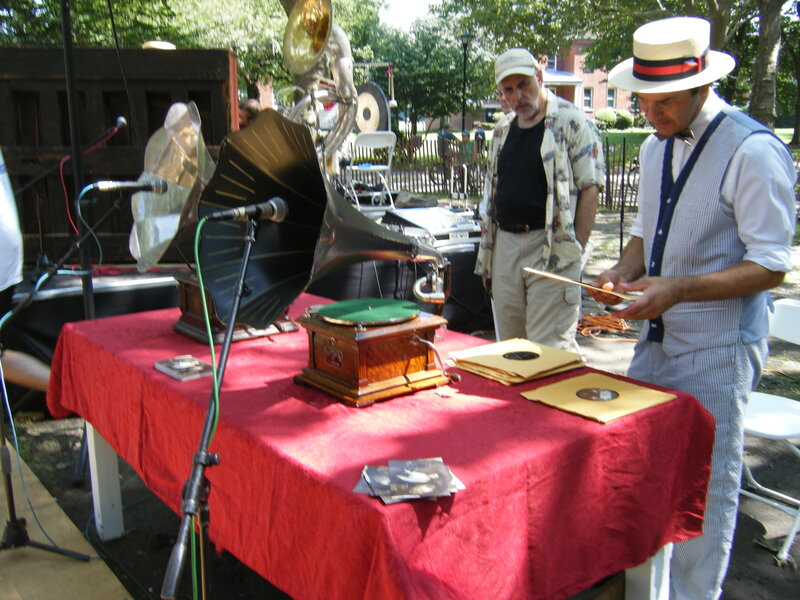 It is such a rare opportunity to dance entirely to 1920’s music and the quality of music was superb, thanks to Michael Arenella’s Dreamland Orchestra, the Gelber and Manning Band, and the twin Victrola turntables operated by DJ MAC. It was a beautiful weekend under the trees on Governor’s Island – the storms that threatened New York were held at bay until Sunday afternoon, when Michael Arenella commented from the bandstand that the rain couldn’t stop the festivities and called a tune with “rain” in the title to mock the threatening weather; it was then that the sky opened up, with only a few warning drops before the downpour sent everyone scurrying for cover. This event has grown every year and this year it seemed to double in size from last year’s impressive turnout. I also noticed that the event organizers take note of how they can improve the event from year to year; for example, in an attempt to combat bystanders loitering on the dance floor and eventually taking it over, they roped off the dance floor area (which was someone effective, but there will always be chattel who don’t understand that a dance floor is for DANCING, not for standing or ogling). 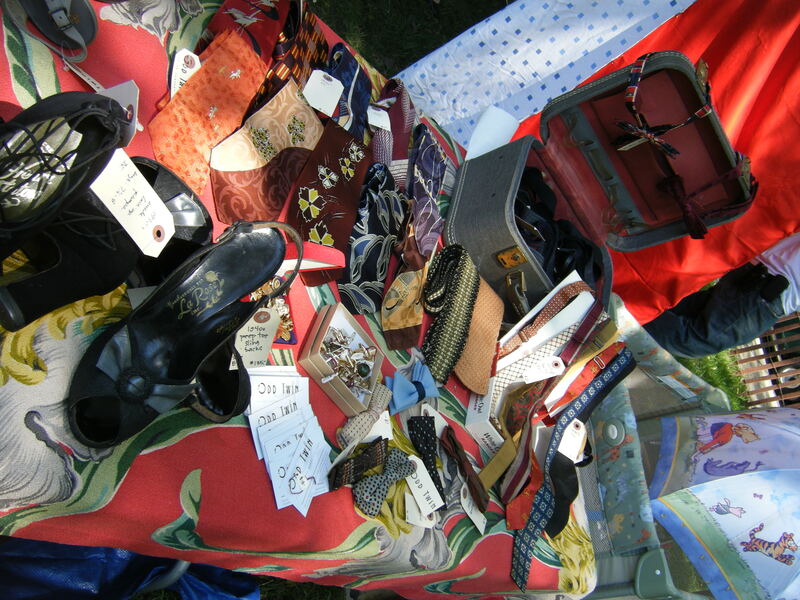 There were also more vendors this year, so let’s get to the list! There simply couldn’t be a JALP without the classic and delicious cocktails made with St. Germain Liqueur, a cocktail confection made from elderflowers picked in the Alps. There was a rush on the cocktails, primarily due to an online coupon deal that offered all you can drink St. Germain for the day, and by the end of day one they were sold out of liqueur. Never fear, they replenished the supply for day two and the delicious festivities continued. 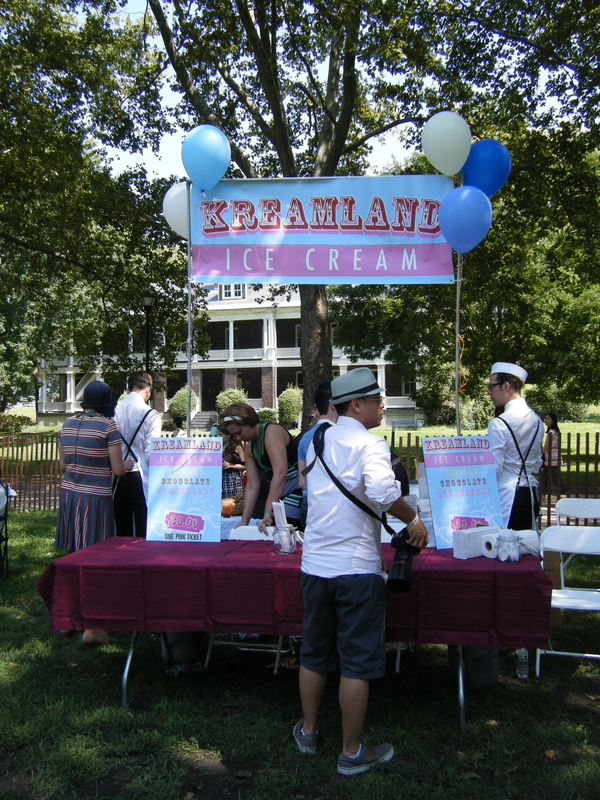 Kreamland Ice Cream was on hand with scoops of ice cream in classic flavors, the perfect treat on a hot August day. 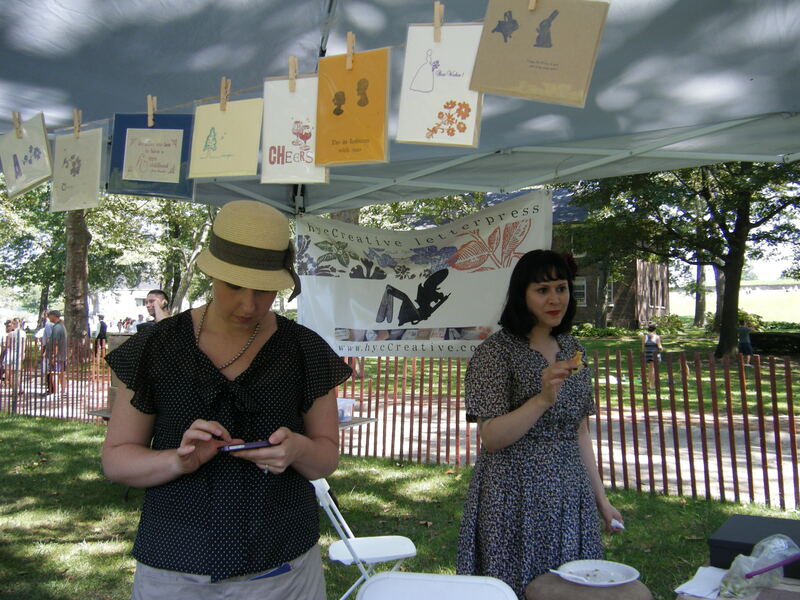 In the photograph at right you can see an example of the signs the JALP crew added to distinguish the different administrative and vendor tables, which were especially helpful with the throngs of people in attendance. Another improvement I noticed was a table set up with helpful items to get you through the day. Forgot your parasol? Need sunscreen or a tissue? Wishing you had a fan to escape the heat? Making these items available for purchase was a great idea! And isn’t the display lovely? It was interesting to see a modern vendor, such as Yelp, have a table at JALP, but then Yelp is a very useful resource. Yelp sponsored a vintage photo booth at the event, with photographs taken by Tsirkus Fotografika, “an ongoing non-profit, public arts project based in Philadelphia, PA, designed to bring the creative process directly to communities and document populations at their most lively. Employing a mobile portrait studio and trailing-edge technologies such as analog film, old-fashioned “hot” lighting, and large format equipment, Tsirkus follows in the footsteps of itinerant photographers who would travel from town to town making portraits on-the-spot.” I now wish I had waited in line to get my photograph taken – perhaps next year. 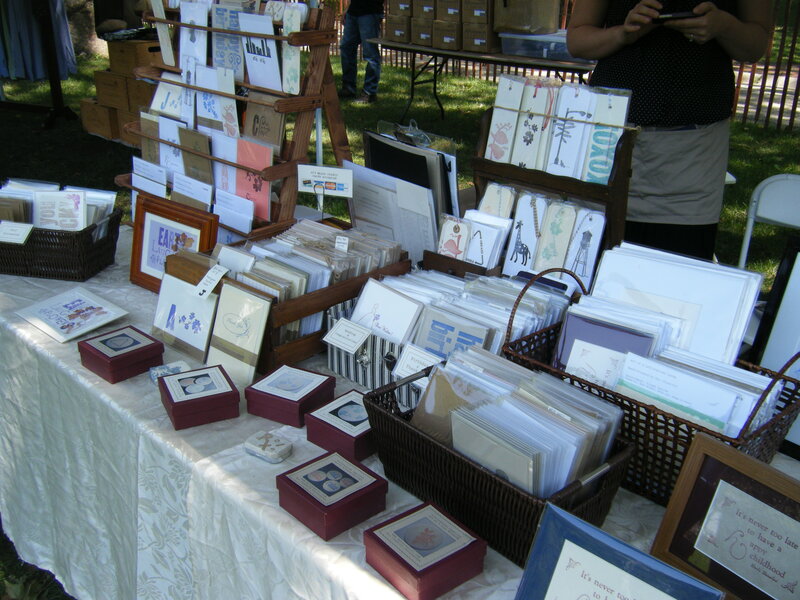 Sharing a vendor table were Necks Tuesday and hyc Creative letterpress. 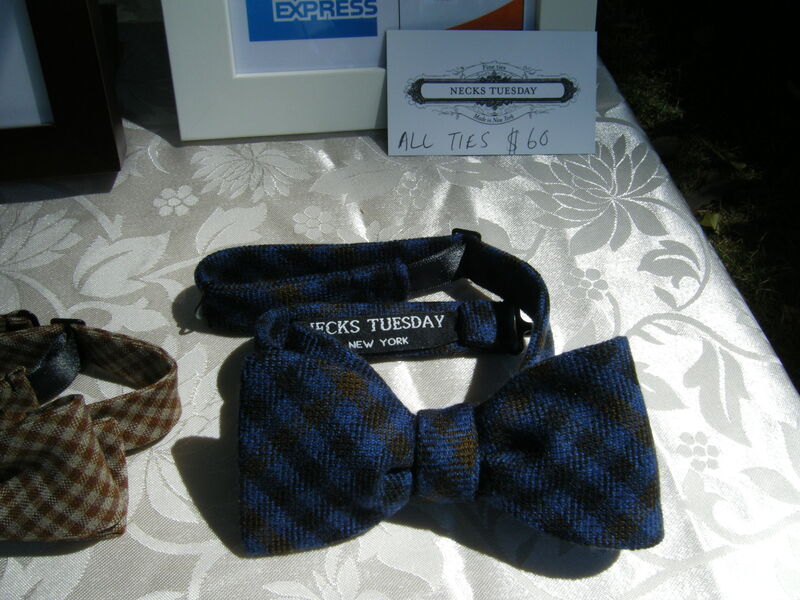 Necks Tuesday might be the most creative name for a bow tie company I’ve ever encountered. 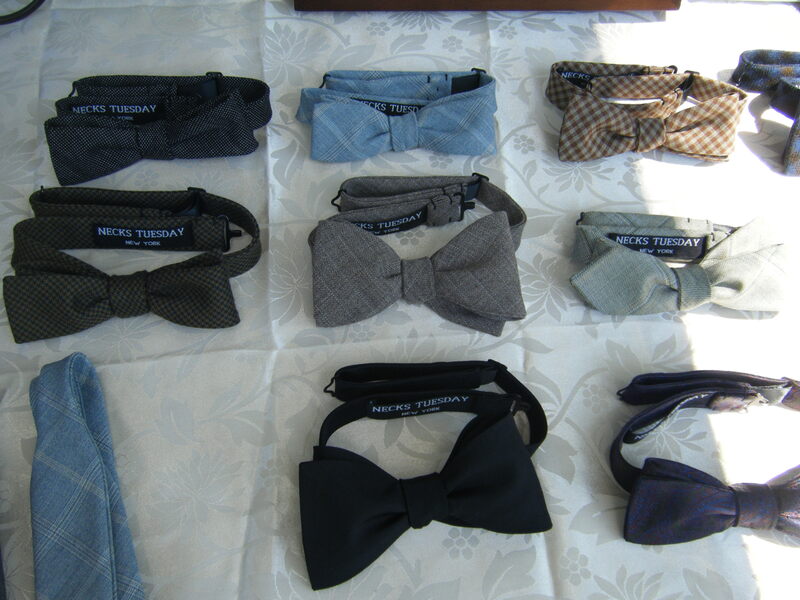 This Brooklyn-based company asserts that bow ties are a “facet of traditional menswear,” but are now “often an element of a forward, contemporary look.” What’s old is new again, eh? I can get behind this philosophy. 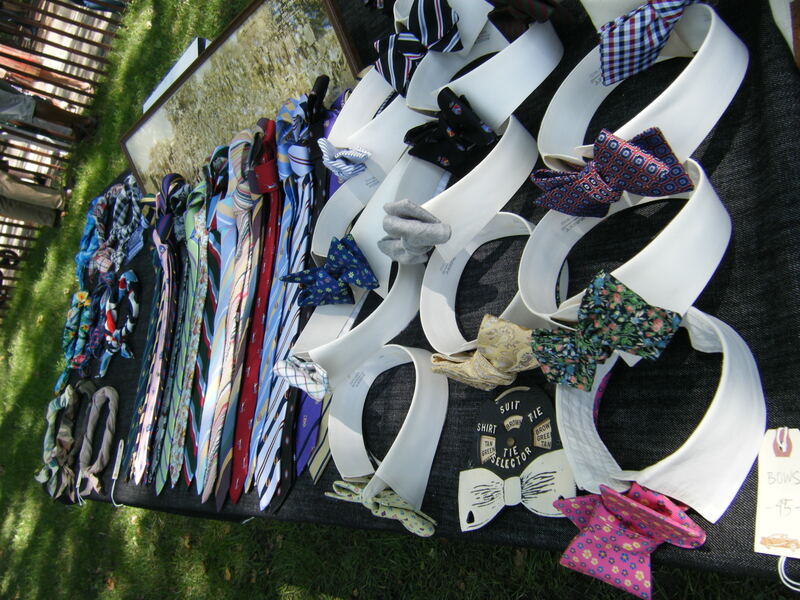 Their ties are available in a number of wonderful muted tones and patterns that are sure to go with much of a man’s wardrobe and make a stylish statement without being too loud. Do you see these pleats?! 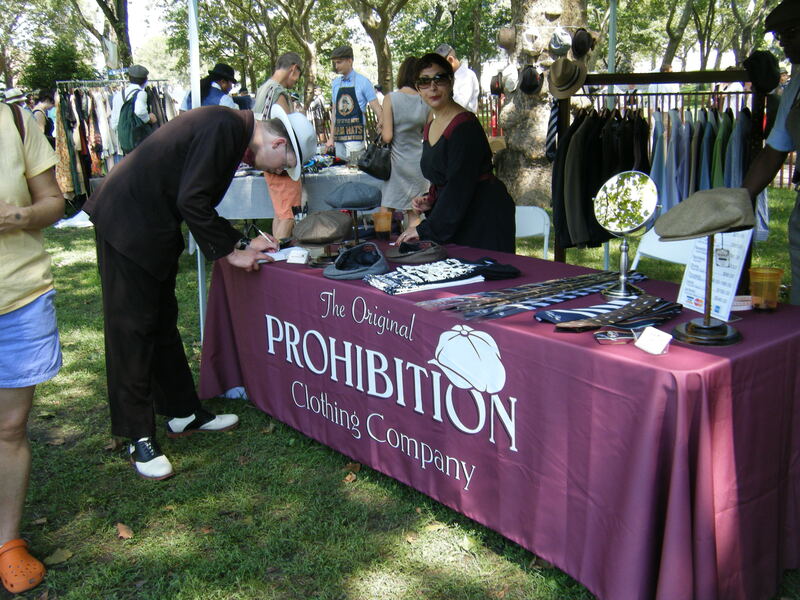 Next in the lineup is The Original Prohibition Clothing Company, a company specializing in custom menswear. What I like about TOPCC is the wear-ability of the garments and the attention to detail. 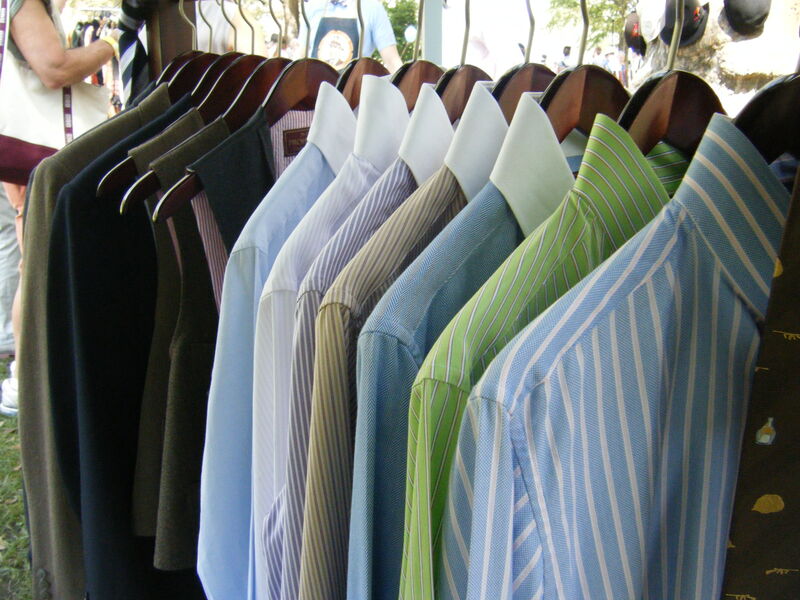 These clothes could be in a fine menswear store just about anywhere, you could wear the clothes anywhere, but they would be that piece that stands out as superb amongst the modern suits, with just enough nod to vintage to appear authentic. 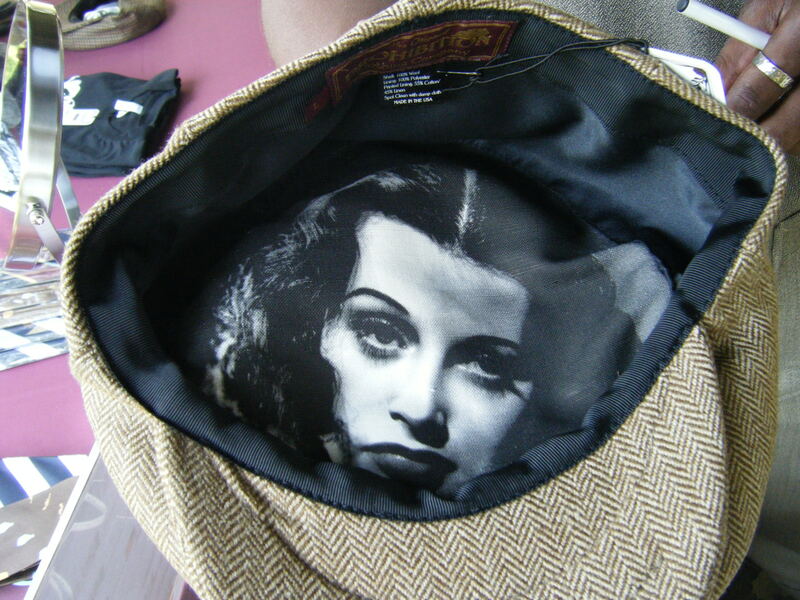 Details like fan pleating out of a belt back Norfolk jacket or a black and white Bette Davis printed on the inside of a newsboy cap make these items truly stand out against the competition. Their website is still under development, but I look forward to this company making their products available to the masses. 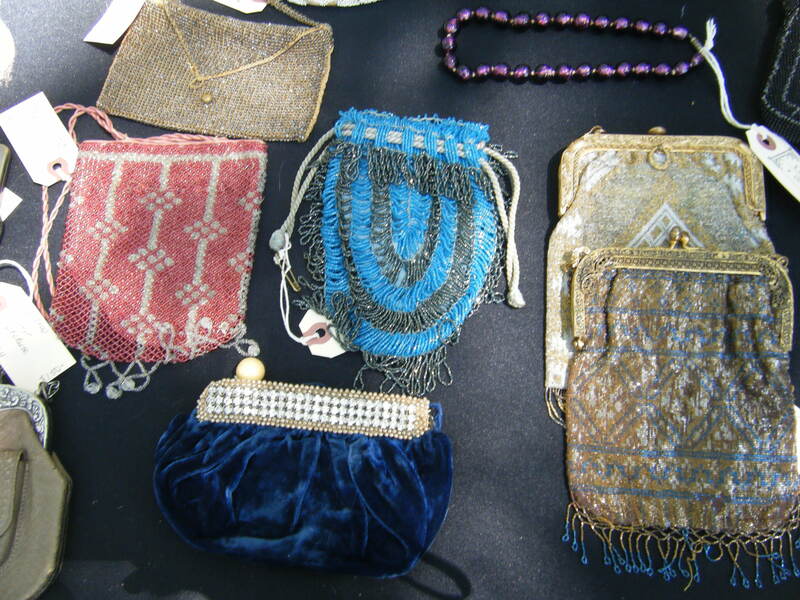 Until then, you can browse some of their accessories available in TOPCC eBay store. 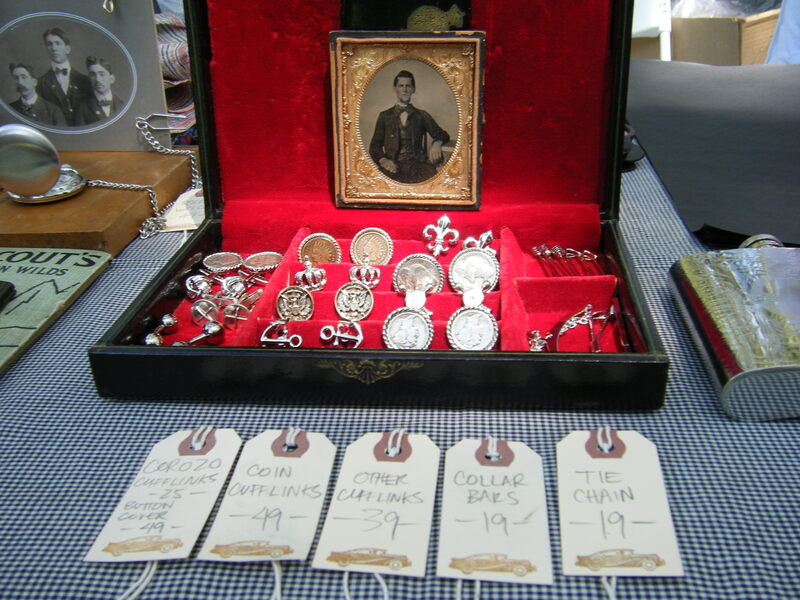 The Fine and Dandy Shop.com had a wonderful showing of men’s accessories – ties, pocket squares, handkerchiefs, cufflinks and other man jewelry, flasks, pocket watches, and even a vintage Boy Scout’s guide. Fine and Dandy has a fairly comprehensive website and I’d recommend that you gents check out their fantastic selection, including their ties, which are made in New York. See photographs below. Lovely 1920's shoes peeking out from behind the sign! 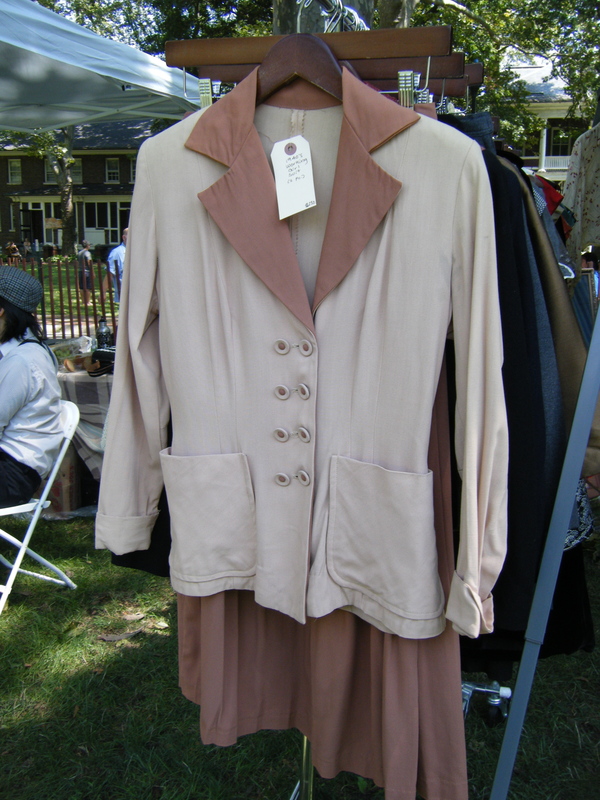 After all this menswear, I arrived at my favorite vendor of the weekend, Noble Savage Vintage, who displayed exclusively pre-1940’s clothing and accessories for women. 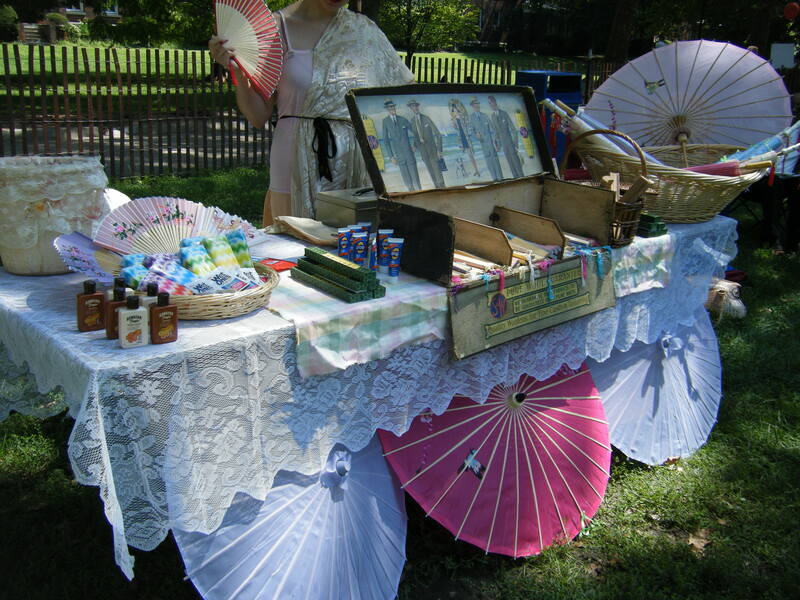 This table and rack were a dream come true, with beautiful beading, gauzy dresses, satin 1920’s shoes, and vintage lace galore. My friend Elizabeth picked up a wonderful 1930’s dress in a gauzy chiffon floral that was perfect for Day 2 of the lawn party. 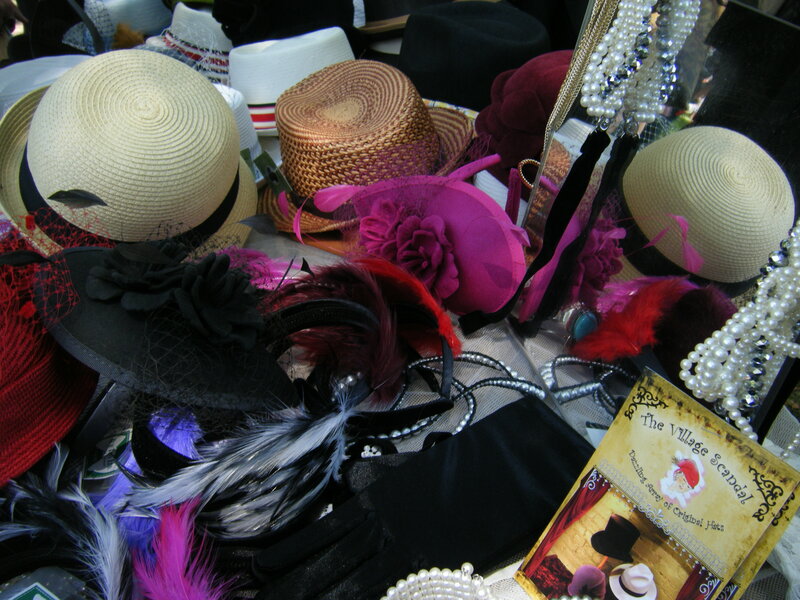 I’ll end this tour-de-vendors with The Village Scandal, one of last year’s wonderful vendors who had amazing cloches and the must-have fascinator of the event. This year, their entire inventory must have been must-have because, by the time I made it out to their table, it had been ransacked. Their positioning near the entrance may have helped add to the chaos of what happened to their table, but I am pleased to see that they did so much business. I'll leave you with two turntables and two microphones - see you next year! 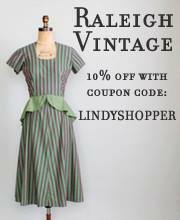 It seems that every clothing source I obsess over is doing something wonderful this week – Leluxe samples, 70% off at Mod Cloth, and – to put the cherry on my week-long clothing smorgasbord sundae – Trashy Diva has posted new dresses and some reissues of some of my favorite dresses, all in period-perfect, dance-perfect rayon prints. The pièce de résistance is one of their new fabrics, a charming fan print in Mardi Gras colors! Love, love, love…and there’s many more than these styles on the website! 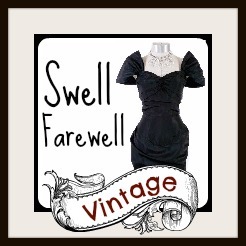 There was an overabundance of adorable-ness in my 1940’s dress eBay searches yesterday – too much not to share! I’ve been on a peplum kick lately and this dress has a rockin’ print and a nice peplum. I also really like some of the other items this seller, fabgabs, has on Etsy. Check out their “Gilda” dress to the right of the peplum dress – WOWZA, both in appearance and damage to your wallet. Regardles, this dress needs to be in my closet and I am waiting for the lottery to recognize my existence.